Like most rising seniors, Grace Harville is busy with a wide array of activities, including 4-H, playing the piano, singing, and serving as the president of the Tennessee chapter of Family, Career and Community Leaders of America (FCCLA). 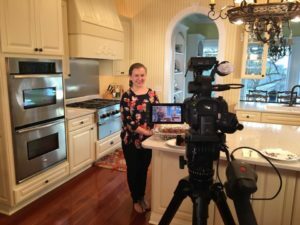 The show, which is broadcast through DeKalb Telephone Cooperative (DTC), features Harville making a variety of recipes from her kitchen, including everything from a seasonal vegetable salad to a sinfully delicious coconut cake. 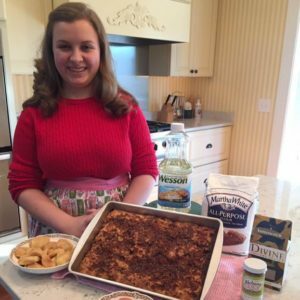 Harville, who began participating in 4-H in the 4th grade, focuses primarily on Food Science and Public Speaking projects, both of which have prepared her to be in front of the camera. Nearly four years later, Harville began “Seasoned with Grace” at the end of her eighth grade year. Harville’s desire to share her talents and teach others has been a guiding post for her during the evolution of “Seasoned with Grace.” She now frequently participates in healthy-living projects around her community, such as making smoothies or creating activities for people to participate in. Much like baking a cake, balancing all of her activities takes quite a bit of precision and attention to detail to make everything work. Harville encourages younger 4-Hers to put themselves out there and try new things. To watch “Seasoned with Grace” and find Harville’s recipes, visit facebook.com/seasonedwithgracetv.